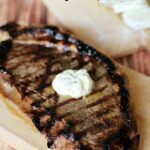 Beer Marinated Grilled Steak with a Cilantro-Lime Compound Butter - Frugal Mom Eh! 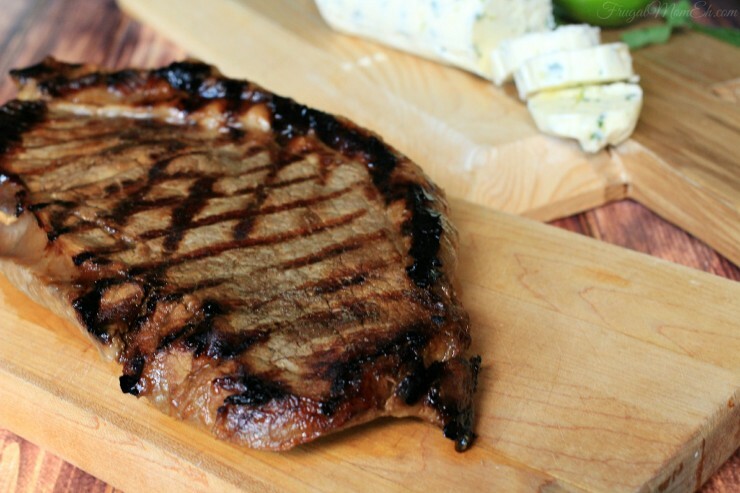 There are many secrets to grilling the perfect steak, no matter what your favourite temperature is. 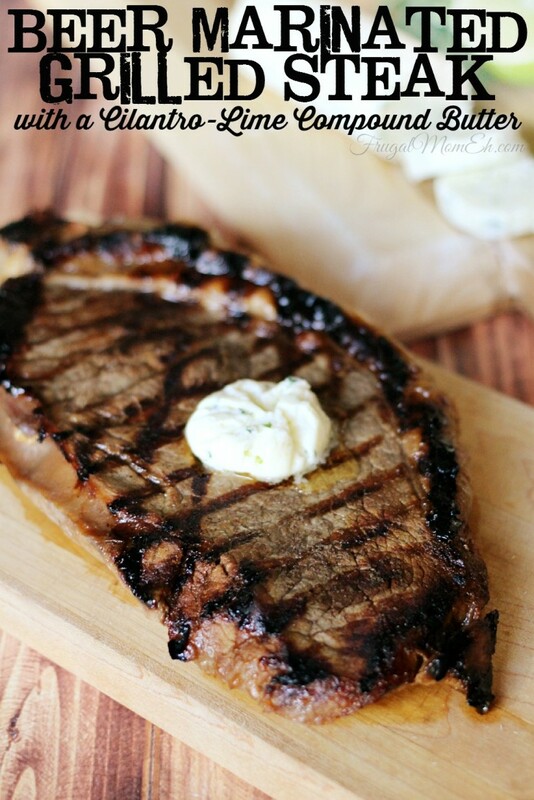 One of the best though is putting a pat of butter on the steak right after removing it from the grill and letting it rest. It creates an even more juicy and rich flavour. To increase the complexity of flavour a compound butter may be used. I recommend using lighter beers with this recipe if you are combining it with the compound butter. 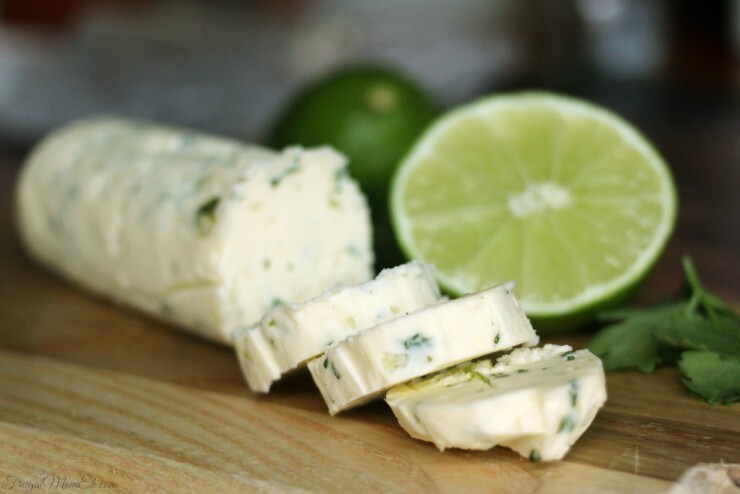 The Cilantro-Lime compound butter is great for more than just steak! 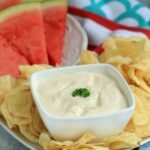 I’ve found that it pairs really well with corn on the cob, but it should work well on baked potatoes and grilled veggies as well to enhance their flavours. It has such a lovely summery taste to it. I have to admit that I think Cilantro tastes quite a bit like what I imagine bathroom cleaner tastes like it. I am not a huge fan at all and generally avoid it but I do like the flavour it creates combined with the butter, garlic and lime. Combine ingredients together and mix well. Roll up in waxed or parchment paper, then tighten the ends like a wrapped candy to form the shape better. Chill until firm and serve sliced. 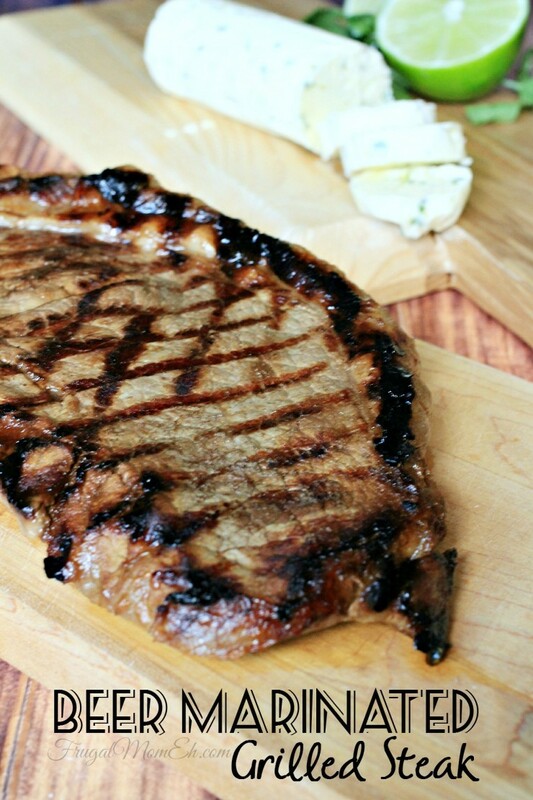 Poke holes in your steaks with a fork to help the marinade do its magic on your steak. Combine your marinade ingredients in a bowl and mix together. Place steak in a large plastic or glass bowl or a zip-lock bag (no metal containers), then pour marinade over the steaks. Place in the refrigerator for at least 3-4 hours, preferably overnight. Remove the steaks from the marinate and allow them to come up to room temperature. This will help you get an even cook. In the meantime, pour the marinate into a small saucepan and bring to a boil over medium-high heat. Boil for 2-3 minutes. Preheat your grill to get a nice sear. Place your steaks directly on the grill for approximately 5 minutes on each side. Remember to turn (not flip!) your steaks 45 degrees at 2 1/2 minutes to ensure even cooking and to create a pretty cross-hatch pattern. After 5 minutes, flip the steaks and baste the steaks with some of your left-over marinade. Remember to turn your steaks 45 degrees at 2 1/2 minutes. Remove from grill to a plate, top with a pat of compound butter and cover. Allow to rest approximately 15 minutes before serving. Love Grilling? 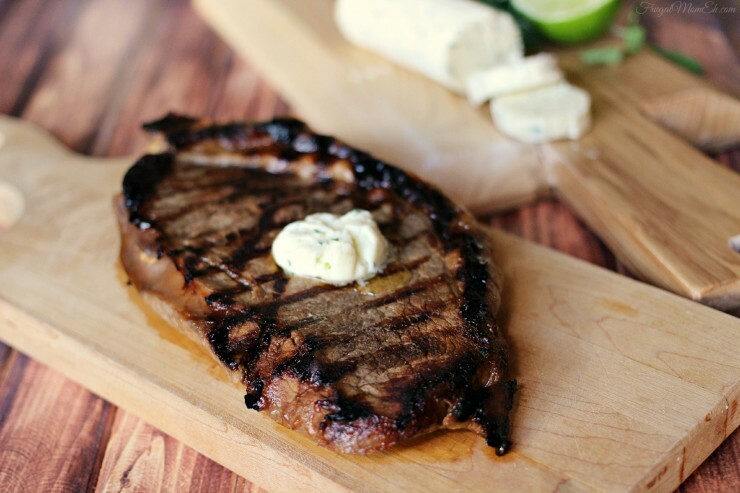 My friends have some more great recipes that will make you the official master of the grill! It looks absolutely delicious Elizabeth! And that butter….Mmmm. Love a great steak! 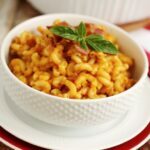 Will have to try this recipe out, thanks for sharing the recipe! 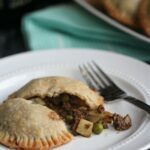 Oh this is mouthwatering, thank you for sharing the recipe, my husband will love this! 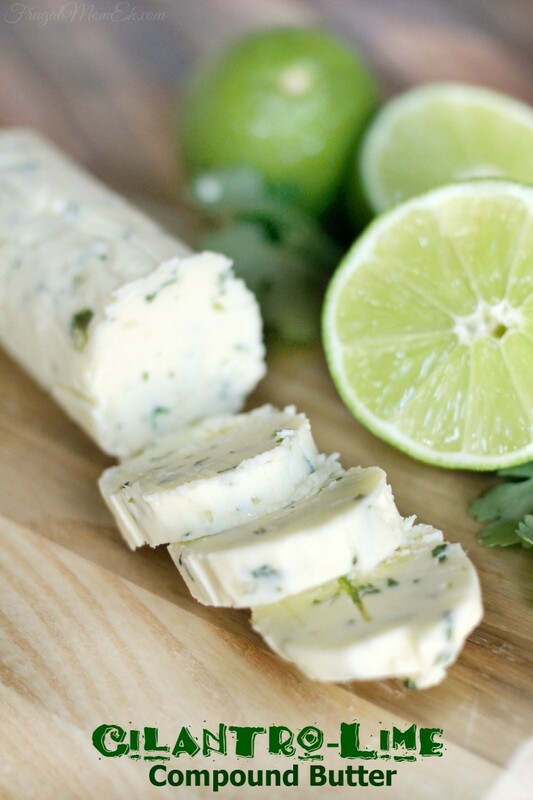 I love making compound butters and i also love cilantro! 🙂 It looks amazing! Thanks for the recipe. Looks sooo good. Glad to hear you enjoyed it, It’s one of my favourite marinades!